· 2018 Champion, Justin Bonsignore with 8 wins on the season. · 2018 winners: Chase Dowling, Doug Coby, Ryan Preece, Jon McKennedy, Kyle Bonsignore, Bobby Santos, III and Matt "Money" Hirschman. · 24 All-New paint schemes and drivers not previously released. · Authentic recreations of the real life 2018 NASCAR Whelen Modified paint schemes down to every meticulous detail. · Authentic matching pit crews. · Updated 2018 year-end performance ratings on all previously released cars via the NRatings program using the MasGrafx GNS Full Season V3.1 formulas. · Race Rosters for all 16 WMT Races run in 2018 and the 1 Non-Point race that include the actual drivers, schemes and cars that ran in each race. · 2018 Whelen Modified Tour Schedule so you can run your own Championship Season. 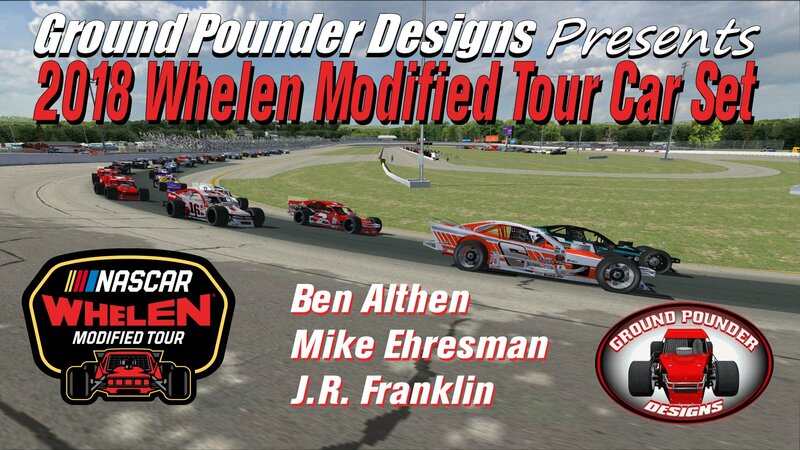 Enjoy racing against the cars and stars of the 2018 NASCAR Whelen Modified Tour from your friends at GPD... your "One Stop Shop" for Modifieds for NR2003! J.R. Franklin - Car Ratings and Set Coordination. · Photo References: YankeeRacer.com, Facebook Mod Squad Radio Show, Jim Dupont Photos, Michael Jaworecki-MyRaceNews, Speed51.com, Ayers Racing Images, Brenda Jane Photography, Crystal Snape, and a host of others too numerous to list. joeykraus19 and 2guns like this.